The Bureau of Freshwater and Biological Monitoring is responsible for several multi-year monitoring programs mandated by the Clean Water Act, some of which have served as prototypes for the nation. 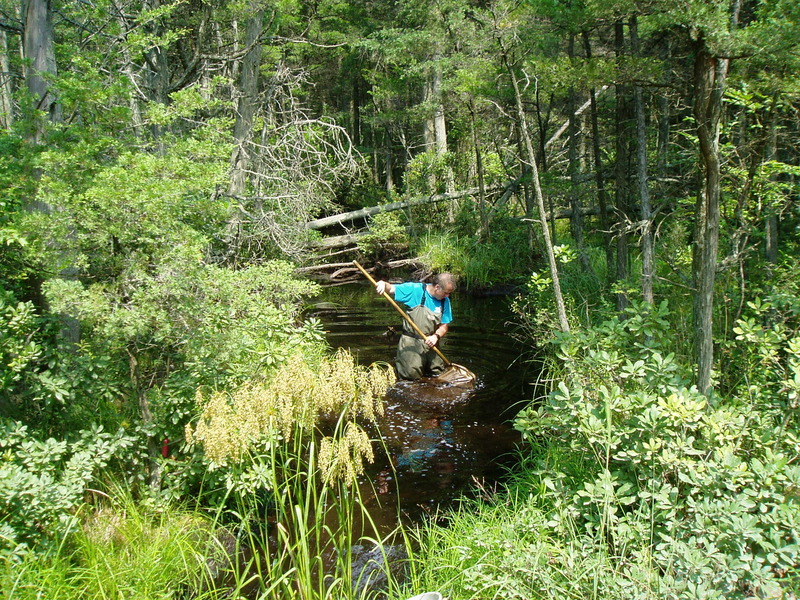 Water quality monitoring projects emphasize watershed monitoring and efficiently combine biological and chemical / physical monitoring as part of emerging state and federal strategies to assess the success of State and Federal Clean Water Programs. The sampling stations include surface water as well as groundwater monitoring. A wide range of parameters are collected including, chemical / physical (nutrients, metals, discharge, etc. ), biological and bacteriological. Chemical and biological monitoring is often co-located to correlate chemical conditions with biological response. Details of each program and analysis / assessments performed can be found at the links below. Rivers and Streams: Operation of the Rivers and Streams Chemical/Physical Monitoring Program which is responsible for statewide chemical/physical monitoring and discharge measurement projects in freshwater rivers and streams. Lakes: Administration of the NJDEP Lake Monitoring Network (includes biological component - chlorophyll ‘a’, and monitoring of Harmful Algae Blooms and cyantoxins). Groundwater Quality Monitoring: Statewide chemical/physical monitoring of 150 shallow groundwater wells. Biological Monitoring - Macroinvertebrates: Operation of the NJDEP's Ambient Macroinvertebrate Network (AMNET) using benthic macroinvertebrates for the assessment of stream quality. Biological Monitoring - Fish Index of Biotic Integrity (IBI): fish sampling, identification and analysis for river and stream quality. Fish Tissue Monitoring in lakes and rivers in cooperation with NJDEP Office of Science. Summer Bacteriological Program: The Summer Ambient Surface Water Bacteriological Monitoring Program samples between the months of May and September, (5 times within 30 days) with sampling support from county health departments and through DEP’s County Environmental Health Act (CEHA) Program to assess primary contact recreation criteria using E. Coli. BFBM has onsite lab facilities which perform macroinvertebrate, fish, and salamander identification, chlorophyll a and cyanotoxins analysis. The Bureau of Marine Water Monitoring provides monitoring support for estuarine coastal and marine waters.